NORTH BATTLEFORD, SK--(Marketwired - January 30, 2017) - The Town of Unity, located in Saskatchewan, has fired up a first-of-its-kind-in-Canada wastewater treatment system, and they have high hopes for the technology. In fact, the community's administration believes that the results of the treatment system will surpass the "release of water to a fish-bearing environment" standards. The new wastewater treatment system is manufactured and distributed in Canada by Tecvalco Ltd.
Two of the MemFree Wastewater treatment systems were installed at Unity, with the bulk of the work done prior to the end of 2016. The final infrastructure was completed during the first week of January, and the two systems went online on January 11, 2017. 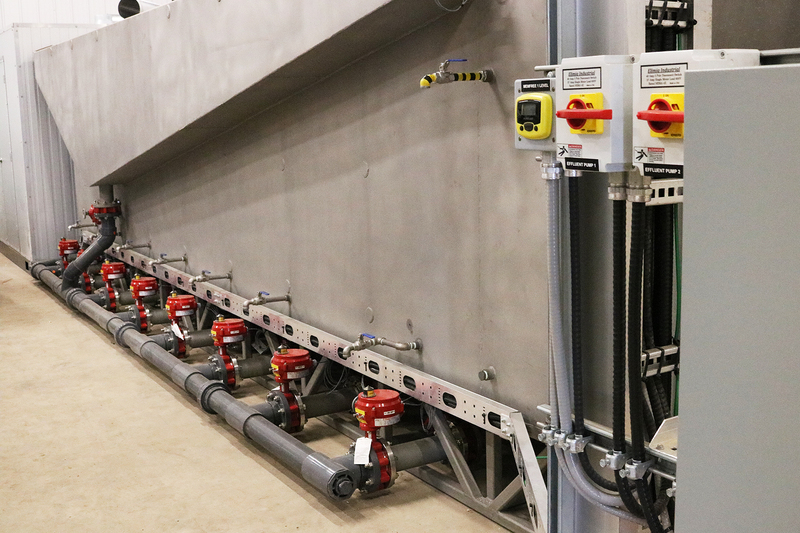 "The Unity project is an integral first for use of the MemFree system on wastewater treatment in Canada," noted Tecvalco president Mike Menger. Collin Field, the Director of Public Works and Infrastructure at the Town of Unity, noted that the "installation has gone well despite a few minor delays due to weather." Unity began their search for a new wastewater treatment solution when they were told by the province of Saskatchewan that their current wastewater system could only support 2,500 residents. Faced with the prospect of positive growth in the near future, the town then spent 18 months researching options. They finally settled on the MemFree system, which is an Australian technology, owned by Arizona-based Soneera Water. In January of 2016, Soneera and the Town of Unity signed the original Supply and Service agreement. Since then, Soneera has partnered with the Canadian company Tecvalco Ltd. to manufacture and sell the system in this country. "It was vital to get the installation commissioned in the winter," said Darrell Behan, CEO of Soneera Water. "We need to give the equipment the opportunity to run and prove itself in the Canadian winter and really test it during the pilot phase." Mr. Behan noted that the Town of Unity should see the impact of the new equipment right away. The two MemFree systems were installed in a new building located at the current lagoon site, west of Unity. The facility is on Sink Lake, which has become non-sustainable for fish life due to the conventional water treatment ponds. It is Mr. Behan's belief that the MemFree units will change this. "With any luck, you will be able to go walleye fishing in Sink Lake in a few years," he said happily. He explained that the water from the MemFree systems goes into a settlement pond that is very near potable water quality. The systems will eventually clean up the settlement pond, which then flows into the lake. He added that over a period of years this will clean up the lake itself, which will be an added bonus to the community. The Town Council settled on MemFree, which is a continuous-flow electroflocculation water treatment system, primarily due to economics. They stated that this was the most viable of all the options financially, but added that the system is appealing for other reasons as well -- mainly its small footprint and ease of use. The two units that were installed will now run as a pilot until they are approved by Saskatchewan's Water Security Agency (WSA). Soneera and Tecvalco will cover the majority of cost of the systems until the WSA approves the technology. At that time the Town will be billed for the full cost of the two systems. The Town of Unity was responsible for the cost of the building and infrastructure that supports the units. Mr. Field noted that he has no concerns about the technology not being approved by the WSA, adding that this system is superior to the one currently being used. Throughout the installation, the organizations stayed in constant contact, with Tecvalco and Soneera keeping the Town updated at each step of the installation and commissioning. "The MemFree units should enable the Town to grow in population by another 45 per cent," Mr. Field said, adding that the grown in population creates a boon for local businesses as well. The two systems are made up of eight cells each, which is sufficient to handle the wastewater treatment needs of a community of 3,600 people. However, the system is modular, and can be expanded to handle the requirements of 6,000 residents. The Town of Unity currently has a population of just over 3,000. Officials from Unity noted that once this technology is tested and proven in the harsh Canadian climate, it could provide a very exciting alternative for smaller communities across Canada. Wastewater treatment is a significantly growing concern in Canada, which affects more than just the growth potential of small communities like Unity. According to the Government of Canada's Environment and Climate Change website, over 150 billion litres of untreated and undertreated wastewater is dumped into Canadian waterways every year. The website notes that this is an environmental, human health, and economic issue. "Once we can show the technology works as well as it will in Unity, we project that smaller communities that understand the challenges and cost of wastewater treatment will be onboard and bring jobs and additional economic activity to central Saskatchewan," noted Mr. Menger. 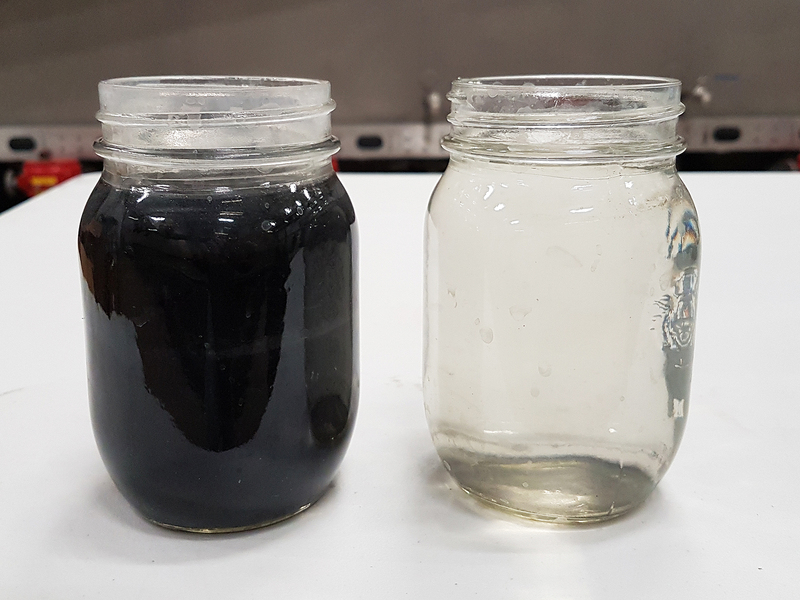 "The Unity project is the first of many examples of how the MemFree system can clean wastewater in all sectors of water usage; from fracking, to industrial, to agricultural, to municipal applications. Soneera Water's system was invented in Australia by Dr. Vivian Robinson. After years of research, Dr. Robinson called this breakthrough technology "electroflocculation," and his white paper on the process has been published by several global scientific magazines as the reference paper on the technology. Dr. Robinson's patented technology is the first, and to date only, successful application of this methodology in a continuous flow commercial environment. Soneera Water and Tecvalco Ltd. are the only companies licensed to market and maintain this technology in North America. The MemFree technology has found acceptance and success in the Australian market, and was first introduced in North America in 2014 through a pilot project in Arizona. Once it was proven at a variety of wastewater installations, and its U.S. patent was issued in August of 2015, Soneera Water LLC started marketing it in the United States. The Soneera Wastewater System is a membrane-free, continuous flow electroflocculation system that can treat up to 750 cubic metres of water per day using a single system module. It uses very small amounts of power, ranging typically from 0.03 to 0.07 Kwh/m3, and uses roughly one-fifth the physical footprint of a traditional treatment facility. There are no chemicals added to process, however, with the addition of a chlorine drip and a UV system, the technology can produce potable drinking water from raw sewage. It is capable of cleaning 97 to 99 per cent of all wastewater types, and treats to the nano-filtration level. It is an automated system that is remotely monitored and programmed. Mr. Field noted that the system is very user-friendly, and "almost a hands-free system". He noted that it does still require some monitoring, and that the electrodes need to be replaced three to four times a year. Tecvalco Ltd. is a premier distribution and manufacturing company, with staff across Canada. Incorporated in 1980, the company has a history of being integral in the development of the energy industry in Canada. Recently, the company acquired key assets from Grit Industries Inc., including the 93,000 square foot manufacturing facility in North Battleford, Saskatchewan. Tecvalco also operates offices out of: Lloydminster, Saskatchewan; Titusville, Florida; and has their head office in Niagara Falls, Ontario. Registered in 2014 in the USA, Soneera Water has proven its patented waste water cleaning technology in Australia and the U.S.A. By operationalizing and proving a technology that has been known for many years Soneera Water has provided a low cost, high performance green option to traditional water treatment processes. Soneera holds the sole distribution rights to this patented technology and is excited to be bringing their product to Canada. Soneera Water's Canadian subsidiary Soneera Water Canada Ltd is currently headquartered in Saskatoon, Saskatchewan.